I gave texture to this dish cloth, with the stitches that I used to create bumps in the design and also included sections of chains in the rows, to make the dishcloth scrunch up easily in your hand when you're using it to wash dishes. 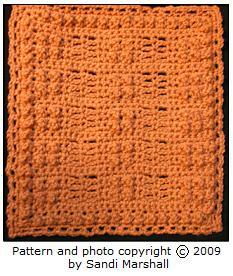 Cotton yarn works best for making dish cloths. It will last better as you use the dish cloth many times and as you subsequently put it through the washing machine many times, also. As another option for this pattern, if you wished, you could make it into an afghan square instead by using acrylic yarn or another fiber of yarn. How to Make a Treble Stitch: Wrap yarn around hook twice, then insert hook in stitch to be worked, yarn over hook, pull yarn through stitch to be worked, yarn over hook, pull yarn through two loops on hook, yarn over hook, pull yarn through another two loops on hook, yarn over hook, pull yarn through last two loops left on hook. Row 3 Note: The treble stitches will bump out on the opposite side, so row 3 is a wrong side row. The treble stitches bump out because each treble has a single crochet made next to it, which pulls the height of the treble down to the height of the single crochet stitch. 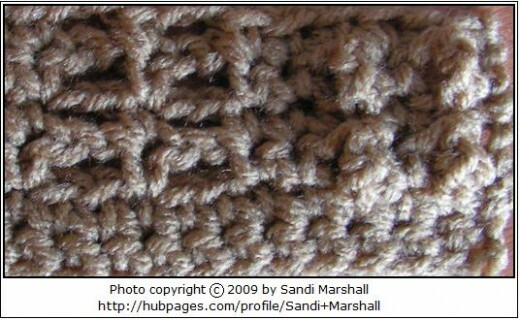 Follow the crochet abbreviations on the photo from right to left, the same direction in which you will be crocheting the row. Row 3 Instructions: (wrong side) ch 1 to turn, sc in first sc, * (tr in next sc, sc in next sc) twice, (sc in next sc, ch 2, skip next 2 sc) twice, sc in ea of next 2 sc **, repeat the directions between * and ** once, then (tr in next sc, sc in next sc) twice. Row 4 Note: Where the instructions say to "sc in next tr", you will insert the hook under the top loop of the treble, the same way as usual for beginning a stitch. 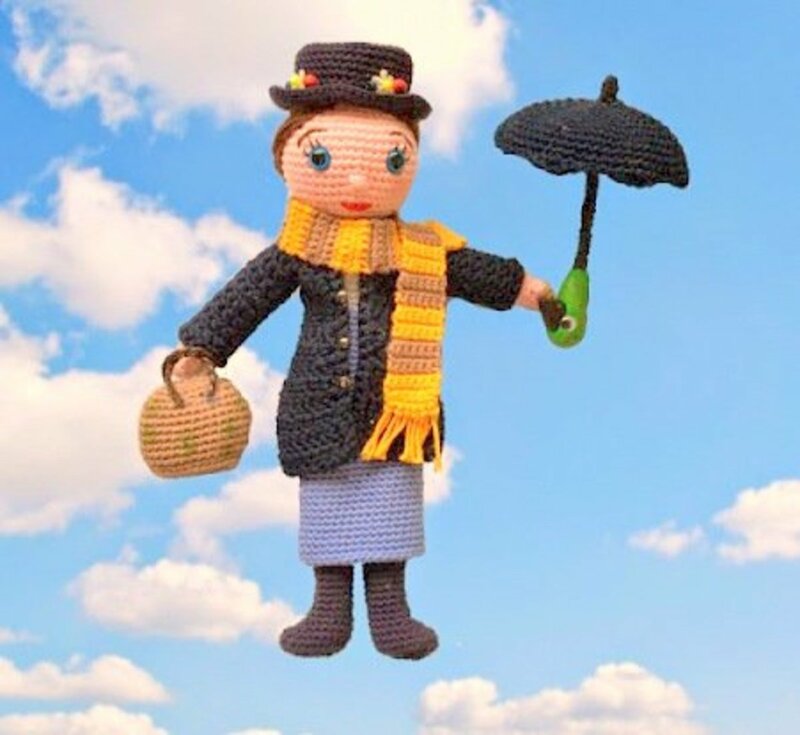 The treble stitch will look different to you because it was pulled downward by the single crochet stitch next to it (to make it form a bump on the right side of the crocheted piece), making it appear shorter than the height and look of a usual treble stitch. Row 4 Instructions: (right side) ch 1 to turn, (sc in sc, sc in next tr) twice, then sc in ea of next 2 sc, * (ch 2, skip ch-2 sp, sc in next sc) twice, then sc in next sc, (sc in next tr, sc in next sc) twice **, sc in next sc, then repeat the directions between * and ** once, which takes you to the end of the row. Row 5: (wrong side) ch 1 to turn, sc in first sc, * (tr in next sc, sc in next sc) twice, (sc in next sc, ch 2, skip next ch-2 sp) twice, sc in ea of next 2 sc **, repeat the directions between * and ** once, then (tr in next sc, sc in next sc) twice. 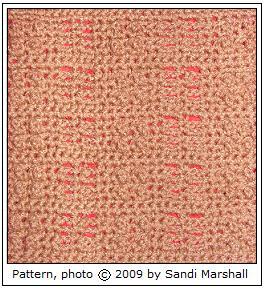 This gives you a closer look at the way the stitches look in the repeat of the pattern. It could be helpful to refer to, as you crochet this dish cloth. This photo shows the right side (the side on which the treble stitches bump out). Row 7: ch 1 to turn, sc in ea of first 6 sc, (2 sc in ch-2 sp, sc in next sc) twice, sc in ea of next 6 sc, (2 sc in ch-2 sp, sc in next sc) twice, sc in ea of next 5 sc. Rows 9 - 32: Repeat Rows 3 - 8 four times. If you are not adding the edging, then end off. Weave in ends. If you are adding the edging, then do not end off but continue with the following directions. 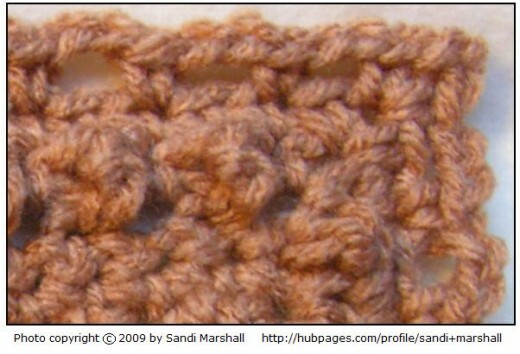 Edging Round 1 Note - If you are not familiar with crocheting along the side edges of a square for a finishing round, it may be helpful to you to take a look at the photo that I have on my Little Chain Spaces Wavy Edge Dishcloth pattern page, which shows a close look at where the crochet hook is inserted to make a stitch around the edge stitch of a row. The link to that pattern is on this page, after the end of these directions, just above the comments section. remaining loop of each starting chain: sc in remaining loop of first ch on the next side, tr in remaining loop of next ch, (sc in remaining loop of next ch, tr in remaining loop of next ch) as many times as needed until you reach the corner. If there is only one ch left after the last tr made before the corner, then sc in the remaining loop of that last ch, then ch 2 for a corner, repeat the directions between * and ** once (to crochet along the remaining side of the square). End with a slip stitch in the first sc of this round. Edging Round 2 Note - Because you are working this round with the wrong side of the piece facing you (and the treble stitches are scrunched downward and are bumped out on the opposite side), the sc and treble stitches look basically the same from this side. 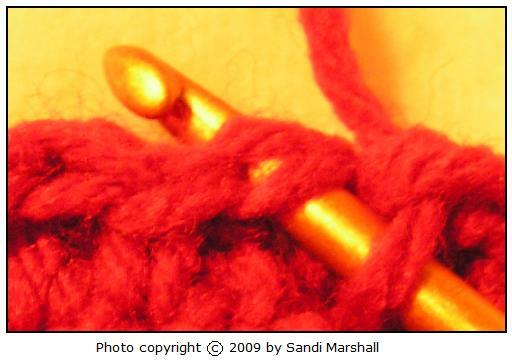 You will work under the top loop (in the usual way) of each stitch (as shown in the photo on the right). Edging Round 2 Directions - ch 1, do not turn but continue in the same direction as last round made, sc in first sc, sc in next tr, continue making an sc in ea stitch until you reach the corner, then (sc, ch 2, sc) in corner ch-2 sp, then continue in this same manner, making a single crochet in ea stitch, to go across the remaining three sides of the square, with (sc, ch 2, sc) in each of the corner ch-2 spaces, as you come to them. End with a slip stitch in the first sc of this round. ch-2 sp **, then repeat the directions between * and ** 3 times (to go across the remaining three sides of the square). End with ch 2, skip next sc, slip stitch in first sc of this round. Sandi, my Grandma, Mom & Aunt (all deceased, so no help there! )used to make an edging they called 'Mile-a-Minute'. I have been trying EVERYWHERE to get a pattern, because I could not make out how to do it with the one scrap piece I have. I FOUND IT! You call it Shell Path Edging. I thought I would use it because it was made sideways .. did not realize it was 'Mile-a-Minute' till I compared it with my scrap! THANK YOU!!! Thank you for hte pattern. Great of you to share, the nmore we spread the love for these types of beautiful things, the better! 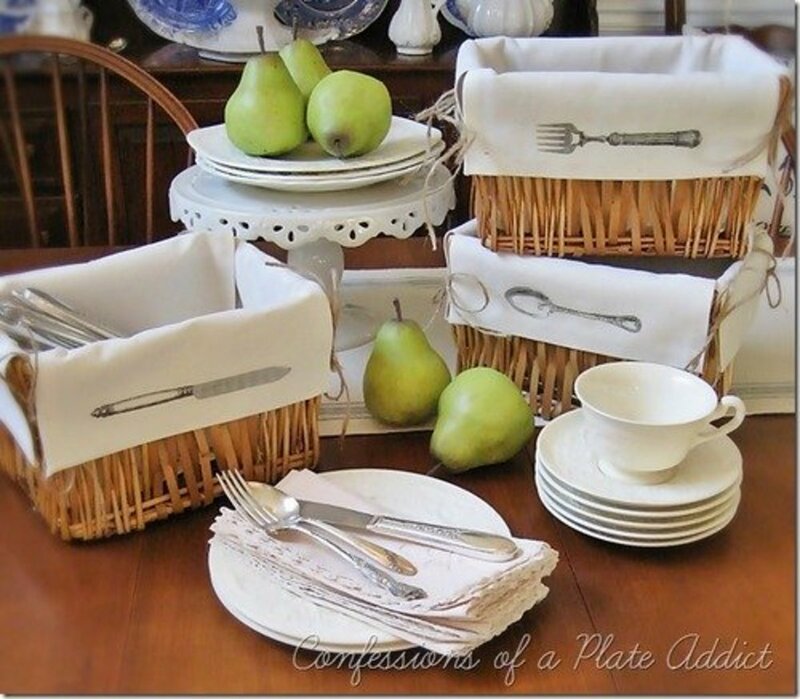 This is absolutely beautiful - the pix are great and the instructions detailed. 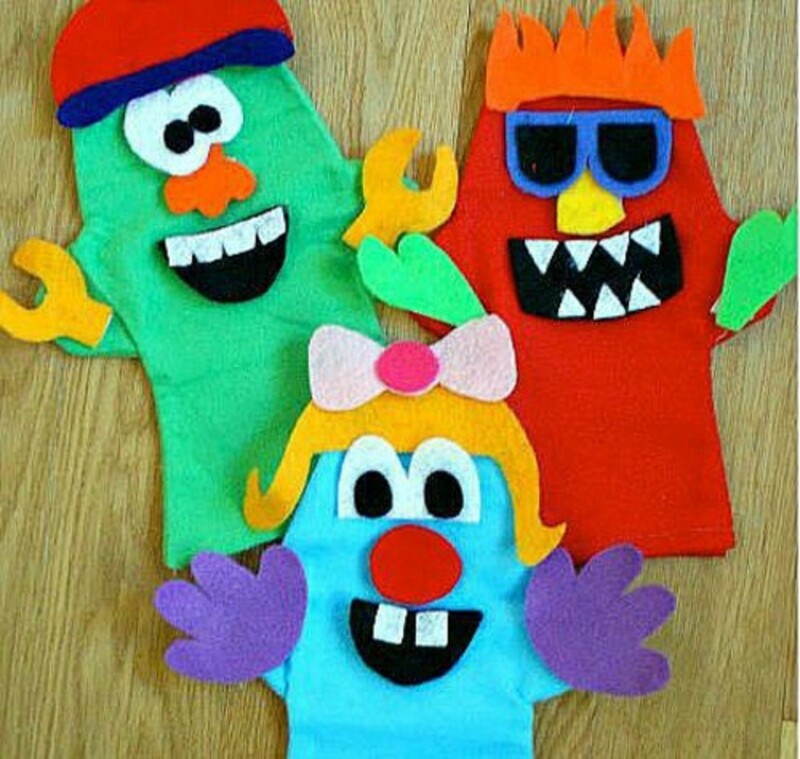 I want to make some of these dish clothes, they would make such cool gifts. I think I need my friend to help me interpret, though, as I am a complete dummy when it comes to crochet. I haven't tried it. I'll let you know, though! Thanks, Sandi! 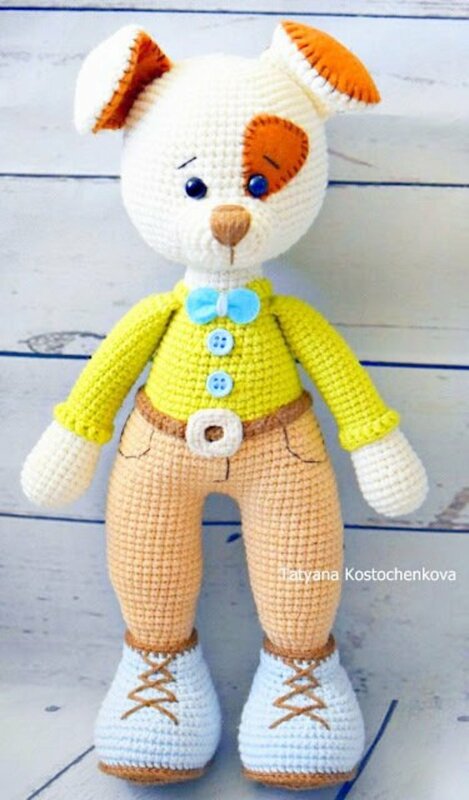 Proud Mom, when I read your comment that you said you had failed at your attempts to learn crochet, I wondered if you have tried following my step-by-step photos for learning to crochet a chain and then learning the single crochet stitch. I've had other people tell me that they hadn't been able to learn these first two crochet steps from any method they had tried, (even having someone show them in person) but they succeeded in knowing how to crochet from following my step-by-step photos and instructions. It works best to crochet along with one photo at a time, reading the instruction and studying the photo, one small step at a time. Don't move to the next photo until you are sure about the one step you are learning from the photo you are viewing. If you take it one small step at a time this way, you might surprise yourself and find that you can do it after all. You can find my Learn Crochet Steps One and Two with the Read More Hubs link near the top right-hand side of this page. Please let me know if my Step-by-Step photos helped you (or if you need more help or instruction on any part of it, please let me know). And you're right ... crocheted dishrags *do* work the best. Thanks for the pattern. I've failed miserably at the numerous attempts I have made at crocheting. But I know who to pass this on to. She will probably make me a few. Crocheted dishrags definitely work the best!!! !